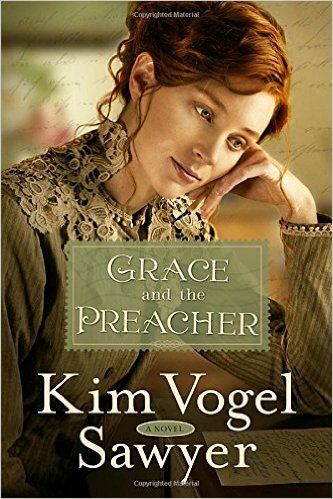 Grace and the Preacher is set in Fairland, Kansas, during late 1882. The town awaits the arrival of the new preacher, Reverend Dille, Grace Cristler's pen pal. The two had been writing letters to one another for months. Theophil Garrison find himself on the run from his cousin. The cousin that talked Theo into a train robbery that failed. The cousin was arrested and Theo was able to flee before capture. While Theo was on the run, he finds fatally ill Reverend Dille and traded identities with him. Will Theo be able to pass himself off as Fairland's new preacher? Like all of the other books written by Kim Vogel Sawyer, Grace and the Preacher is full of faith and inspiration. There are scenes that just give me the giggles and others that warms my heart. There is, also, some action and adventure. I really like Theo and Grace and enjoy them together, making me root for them until the end. I highly recommend this sweet, inspiring and fun story. This is a definite must read. I received this book from the author, but was not required to write a review. This review of my own opinion.